Jaguar Australia has confirmed that the pricing* for the all-new Jaguar XF will commence at $82,800* for the XF Prestige 20d. The all-new Jaguar XF brings an unrivalled blend of design, luxury, refinement and efficiency to lead the business car segment. The dynamic, coupé-like design is formed around Jaguar’s aluminium-intensive architecture and combines the outstanding proportions, elegant surfaces and perfect lines which define all Jaguar cars, with a longer wheelbase, more interior space and exceptionally low aerodynamic drag. “I believe the all-new XF is the best looking car in its class. Elegant, handsome and with proportions that imbue a great sense of integrity – the all-new XF is true to the great tradition of sporting Jaguar saloons while being completely of its time.” Ian Callum, Director of Design, Jaguar. Back in 2007, the original XF was a radical step forward for Jaguar – and for the business car segment. Combining a sleek, coupé-like exterior and a luxurious interior, it set the class benchmark for aesthetics and driving dynamics. 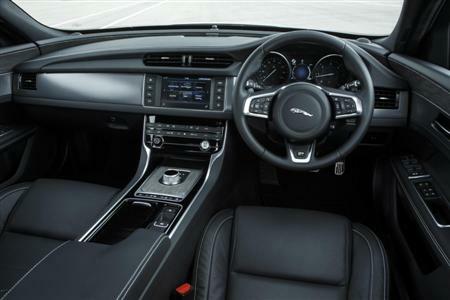 Features such as the rotary shift controller, rotating air vents and phosphor blue ambient lighting set the cabin apart from the competition and made the XF a highly desirable, aspirational vehicle. It was like nothing Jaguar had ever made before, and like nothing the competition could offer. 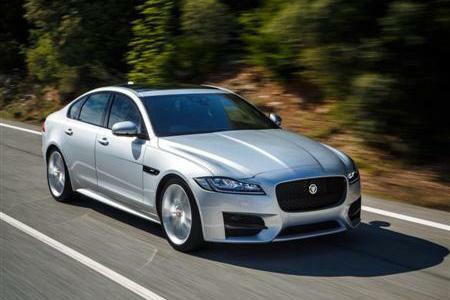 The XF went on to become the most awarded Jaguar ever. 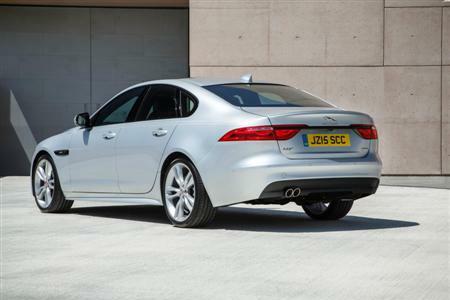 The all-new XF retains its predecessor’s core attributes but uses Jaguar’s aluminium intensive architecture to elevate them to a completely new level. It enables weight savings of up to 190kg and an increase in torsional stiffness of up to 28 per cent. The architecture also delivers dramatic improvements in packaging and the proportions so essential to Jaguar design. 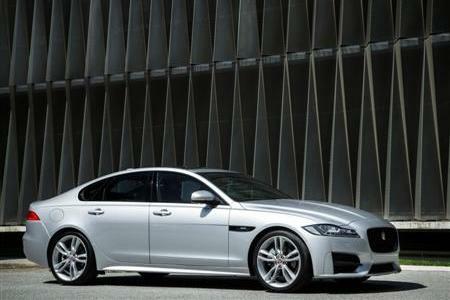 The all-new XF is 4,954mm long: at 2,960 the wheelbase is 51mm longer than before, the front overhang 66mm shorter. Though 7mm shorter and 3mm lower than the original XF, rear seat space is class-leading thanks to 15mm more legroom, 24mm more knee room and up to 27mm more headroom than before. The light, stiff body is also fundamental to the all-new XF’s superb vehicle dynamics. Double wishbone front suspension and Integral Link rear suspension – combined with near-50:50 weight distribution – deliver the ideal balance between ride and handling. “It offers even better dynamics, even greater refinement for the comfort of its occupants, it delivers an all-new infotainment system, and it utilises every last mm of packaging to maximise interior space, while exploiting all the weight-saving optimisation offered by our new aluminium-intensive architecture. As a driver you will notice these benefits from the moment you sit behind the wheel, and as a passenger” Ian Hoban, Vehicle Line Director, Jaguar XF. All-Surface Progress Control, developed for low-speed driving in adverse conditions, automatically manages the brakes and the throttle to deliver the best possible traction, enabling the car to pull away smoothly and without drama: the driver only has to steer. ASPC operates between 3.6km/h and 30km/h, and the desired speed is set by the driver using the cruise control switches. Infotainment and connectivity is the most advanced Jaguar has ever offered. The all new InControl Touch Pro system builds on the intuitive user interface of InControl Touch, and supports all the same features – but offers a 10.2-inch touchscreen and Dual View technology which simultaneously allows the driver to see information such as navigation, while the front seat passenger watches TV or a DVD. To minimise driver distraction the all-new XF offers a colour laser head-up display. 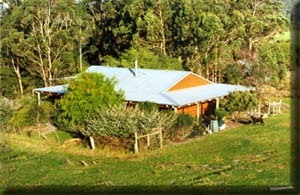 Compared to competitor systems, this technology is smaller, lighter, and generates high contrast images which are easier to read in strong sunlight. The all-new XF powertrain range will consist of: 132kW 2.0-litre diesel automatic; 177kW 2.0 petrol automatic; 220kW diesel automatic; 250kW and 280kW 3.0-litre petrol automatic. Following a £416million investment, the all-new aluminium-intensive Jaguar XF is manufactured in England at Jaguar Land Rover’s Castle Bromwich Plant alongside the all-aluminium F-TYPE sports car and XJ luxury saloon. “Lighter and more efficient, with enhanced space, a greater breadth of powertrains, unrivalled dynamics and refinement and, of course, world-leading design, the all-new XF offers customers a compelling package.” Steven de Ploey, Brand Director, Jaguar.